Keep videos organized and convert them to PSP, iPod, Flash, Xvid, H.264, MJPEG, Zune, wmv (PDA), DVD and 3GP(for mobile phones). 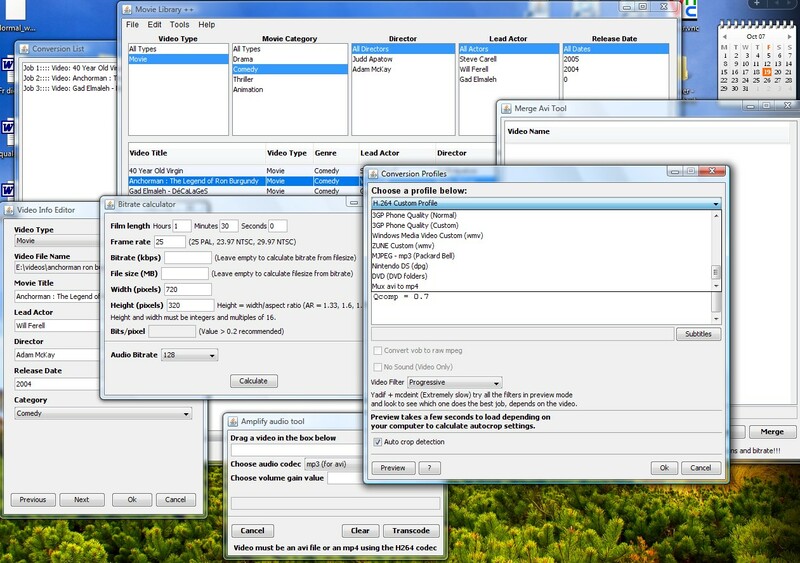 Merge avi files and increase the volume of an avi or mp4. 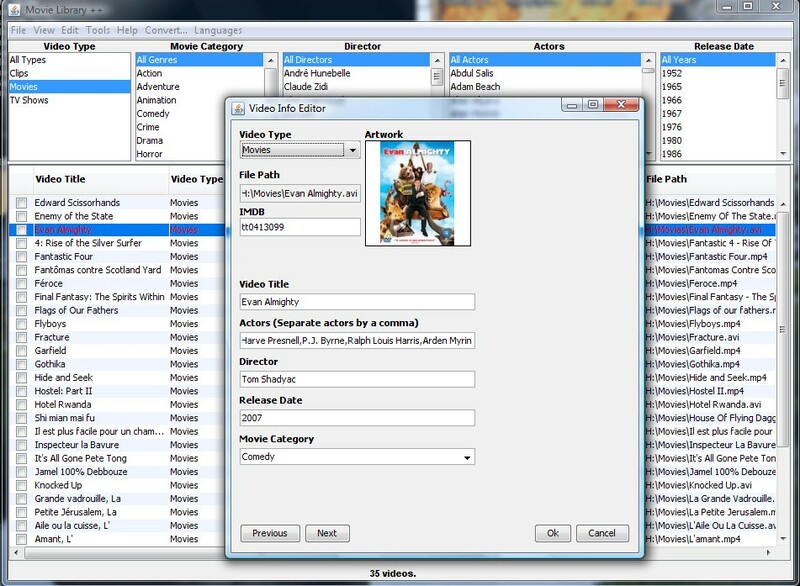 Advanced Movie Library application which retrieves information for the Movies, TV Shows imported from the online database and fills in the information for you, you can save it to the meta data for mp4 files to be recognized by itunes, quicktime...or save it to the Movie Library only. 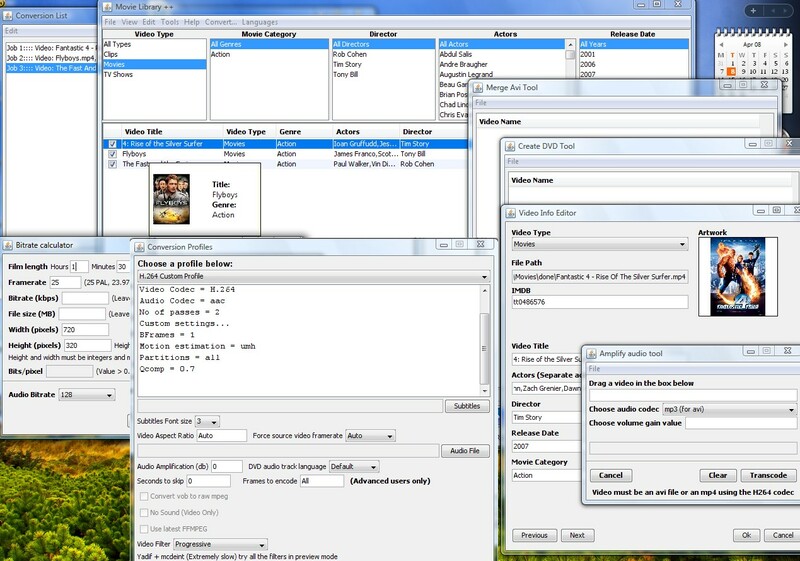 Convert DVDs and almost any video to PSP, iPod, Xvid, H.264, Flash (for you website), 3GP (for you mobile phone) and hard encode subtitles to your videos for the DVD forced subtitles, and you can use the bitrate calculator, merge videos tool and audio amplifying tool to solve or help with small video tasks. 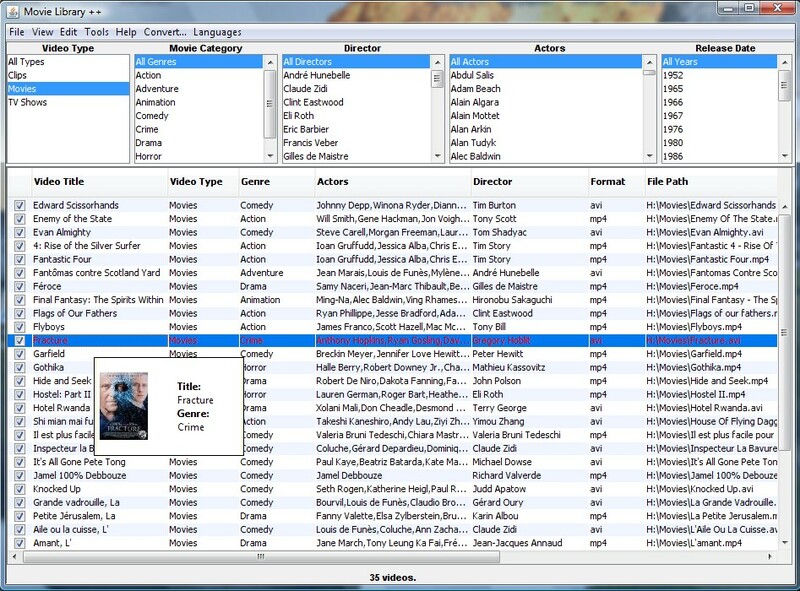 Now in the new version, added functionalities (more options for sound...), customizable profiles for almost all video types. PSP H.264, iPod H.264, MJPEG, Windows Media (wmv) and Microsoft Zune profiles, output to DVD and soon Nintendo DS. Customizable batch conversion also now available.